"He’s the best of all of us!" The CD box "Mariss Jansons – A Portrait", newly released by BR-KLASSIK, contains a total of 5 CDs offering a representative cross-section of the classical symphonic repertoire – and of the repertoire for which the chief conductor of the Symphonieorchester des Bayerischen Rundfunks has been highly praised again and again for his outstanding interpretative qualities. In an interview about great conductors with the newspaper Die Welt on April 2, 2015, that was the remarkable response from Sir Simon Rattle when he was asked about Mariss Jansons. Numerous music fans the world over are in complete agreement with Rattle’s statement, and what better way to congratulate Mariss Jansons on his 75th birthday (the 14th of January, 2018)? The Maestro’s birthday was also the inspiration for this 5CD set from BR-KLASSIK. 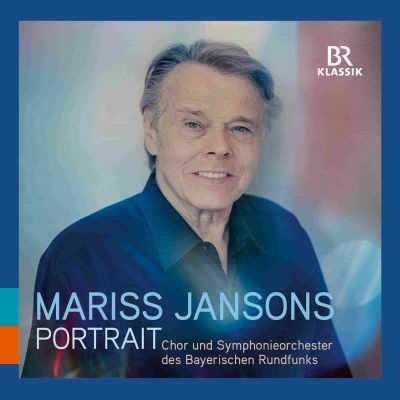 Mariss Jansons played a decisive part in the decision by the Bayerische Rundfunk to establish a special CD label for its two orchestras and the Chor. As the chief conductor of the Concertgebouw Orchestra in Amsterdam, he had already appreciated the advantages of an orchestra having its own label: artistic freedom in deciding which musicians to collaborate with and which recordings to release, sovereignty over layout and design, reliable releases timed to coincide with international tours, and much more. By now, following his tenacious and therefore ultimately successful commitment to a new concert hall in Munich, the music world is certainly aware of the Maestro’s persistence, and not only where musical quality is concerned. So it was that in 2009, the Bayerischer Rundfunk released its first 9 CDs with recordings of the Chor and Symphonieorchester des Bayerischen Rundfunks and of the Munich Rundfunkorchester, on its new label BR-KLASSIK. The year 2017 saw the one hundredth production since that time – of Richard Strauss’ ‘An Alpine Symphony’ with the Symphonieorchester des Bayerischen Rundfunks conducted by Mariss Jansons. The CD box “Mariss Jansons – A Portrait”, newly released by BR-KLASSIK, contains a total of 5 CDs offering a representative cross-section of the classical symphonic repertoire – as well as a cross-section of the repertoire for which the chief conductor of the Symphonieorchester des Bayerischen Rundfunks has been highly praised again and again for his outstanding interpretative qualities. Landmarks of great choral music can be found here, as well as milestones in symphonic development and select orchestral songs. The works range from music of the First Viennese School to early 20th-century Late Romanticism; from Haydn’s “Harmoniemesse” (with soloists Malin Hartelius, Michaela Knab, Judith Schmid, Christian Elsner, Bernhard Schneider, Franz-Josef Selig and the Chor des Bayerischen Rundfunks) to the Minuet from Haydn’s Symphony Hob. I:88; from Beethoven’s Fourth Symphony, Brahms’s Fourth Symphony and Mahler’s Ninth Symphony to Strauss’ Eine Alpensinfonie” op. 64, and also his “Vier letzte Lieder” (“Four Last Songs”, with the excellent soloist Anja Harteros). And the fifth CD offers several impressive masterpieces of the twentieth century including Stravinsky’s “Symphony of Psalms” (with the Chor des Bayerischen Rundfunks), ), Varèse’s symphonic poem “Amériques” – both recordings first time released on CD – and Shostakovich’s Sixth Symphony.